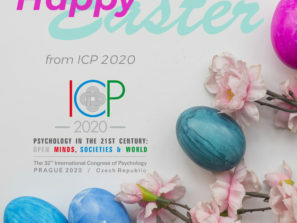 I am delighted to welcome you to the 32nd International Congress of Psychology in the beautiful city of Prague, in the Czech Republic July 19 – 24, 2020. The theme of the congress: Psychology in the 21st Century: Open minds, societies and World is timely and relevant to us all. The congress is organised by Czech-Moravian Psychological Society (CMPS) and will be held at the Prague Congress Centre. Our Czech hosts are creating an exciting scientific and social experience of the highest quality and significance, in a magnificent cultural environment boasting many World Heritage sites, including the largest castle complex in the world. The International Congress of Psychology (ICP) is sponsored by psychology’s global voice, the International Union of Psychological Science (IUPsyS), and takes place every four years, starting with a memorable congress held in Paris France in 1889. ICP attracts large numbers of psychologists, academics and students in psychology and cognate disciplines. Over 8,000 attended the 2016 congress in Yokohona Japan, many of whom were inspired to make plans for the 2020 congress in Prague. The leadership of IUPsyS and the leadership, our 89 National Members and 24 international and regional affiliates look forward to welcoming you to Prague, where, together, we may continue to explore the science, application and impact of psychology in our fast-changing world, opening ourselves to fresh challenges and opportunities so that our discipline can continue to serve all of humanity.